Looks like Glee has another holiday treat for us! Below, check out the newly released video of Santana performing “Santa Baby”, a scene from “Extraordinary Merry Christmas” that landed on the cutting room floor. It seems that Finn had enlisted Santana to help him pick out Rachel’s required bling at the jewelry store, and that she decided to sing about what she, in fact, wants for the holidays. Really, I don’t think this song could be more perfect for Santana’s voice. She really knocks it out of the park. 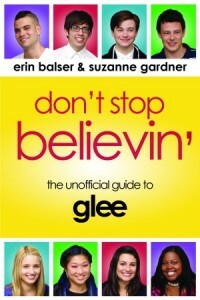 But what do you think, gleeks? Let me know your thoughts on the performance in the comments! Do you agree with the decision to cut it from the episode, or do you wish it had stayed in the final version? ← Watch three new behind-the-scenes Glee vids, featuring Kevin McHale, Chris Colfer and the making of “Extraordinary Merry Christmas”! This one is amazing, I don’t know how it could have been added to the episode but it would have been great. I just hope it will be on the blu-ray ! I don’t really like the Blue Christmas song so I wouldn’t mind switching ! I really love the song, and the video, but it probably should have been cut. I liked Glee better when there was a reason they burst into song. Whether they asked to use the stage, or it was in their imagination, or a flash mob or whatever. Unless Santana (or Finn!) was imagining this, I don’t know how the storekeepers suddenly knew the choreography and the background music just popped out of no where. I like the show to be somewhat believable.